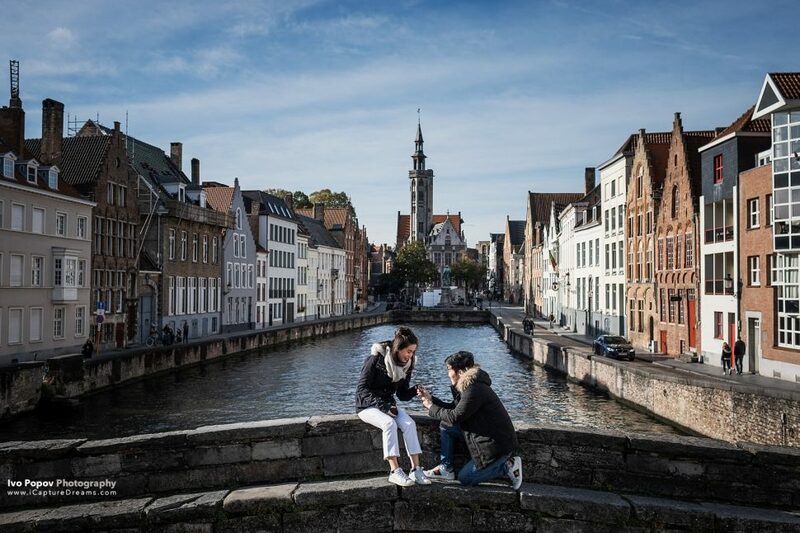 Choosing the best spot to propose in Bruges can be a hard job. 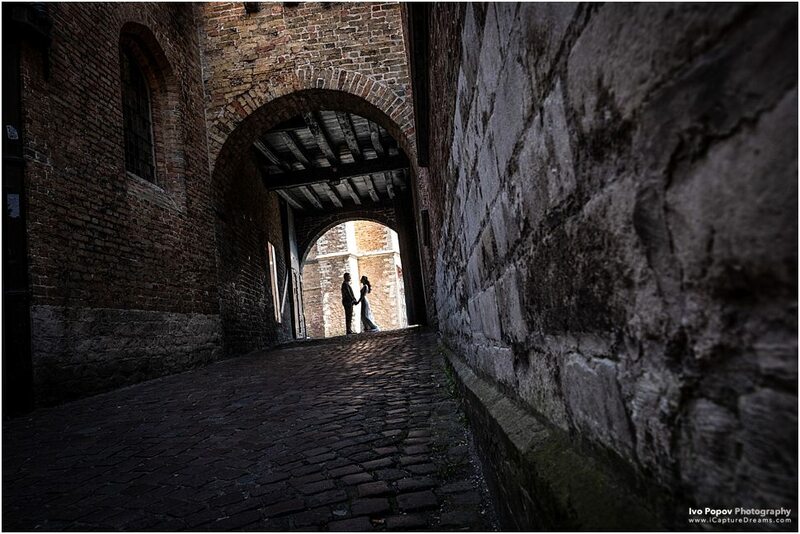 The medieval city looks great and there are just so many romantic spots to choose from. Would you like to drop on one knee on a bridge over the canals? Or on one of the small streets in the city? Or maybe at the Lake of Love? 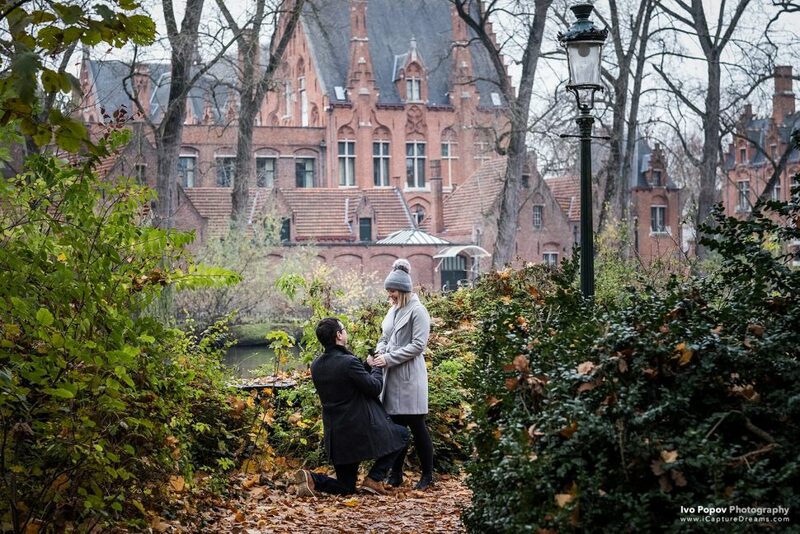 But which one of the most romantic spots for marriage proposal in Bruges to choose? Take a look at the short guide I have created just for you. 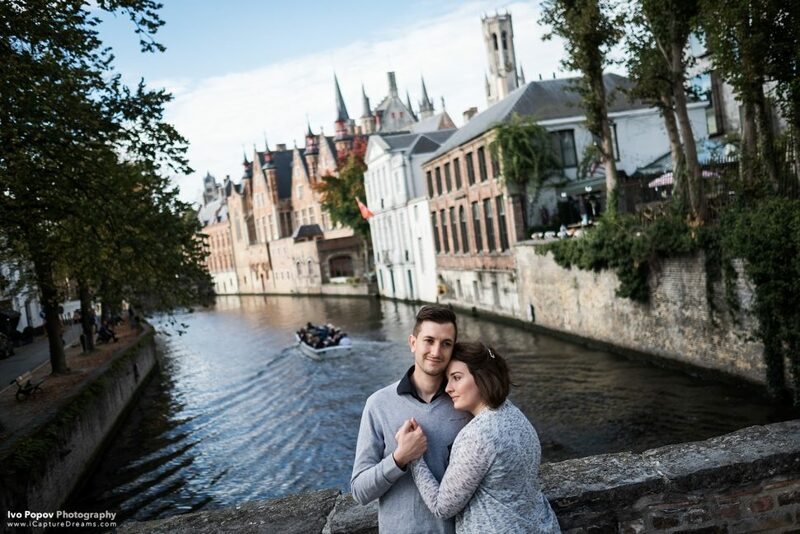 And if you see something that you like, get in contact with the best photographer in Bruges and we will deal with all details, so that your days is just perfect. 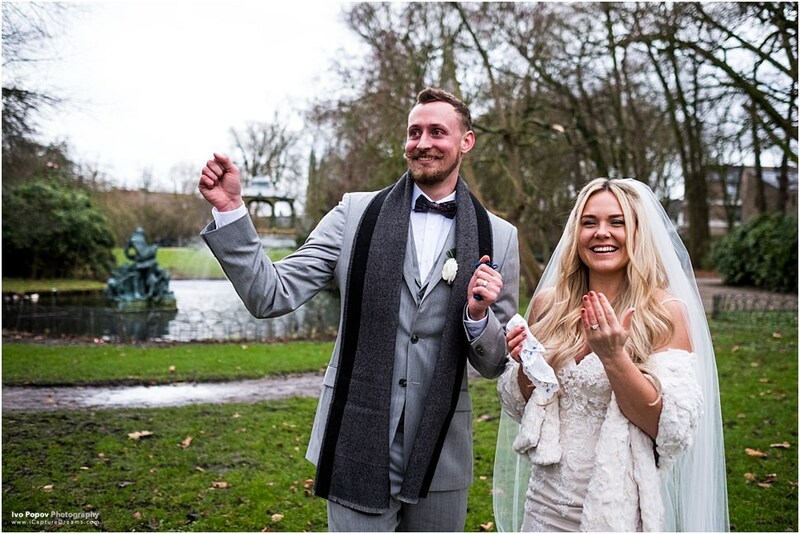 The bridge over the Lake of Love has always been a magnet for guys who want to propose on one of the most romantic spots in the city. Take a stroll over it and you will be in love. The whole area around is just great – the beautiful park on the side, the magnificent view towards the city and the small castle close by. The big park next to the Lake of Love is for you if you prefer a more secluded location. Lots of greenery and great views. Depending on the time of the day and the season, you may be completely alone. 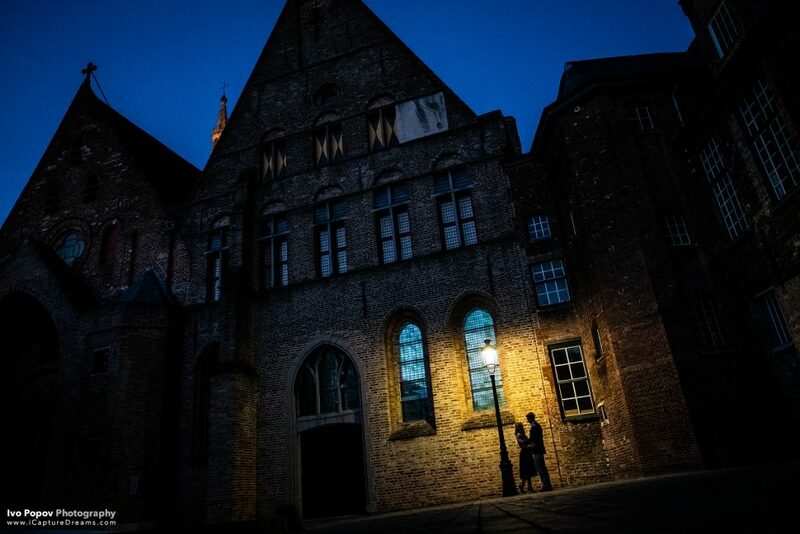 The old Sint-Janshospitaal in the city centre. It is a magnificent location that immediately says medieval 🙂 Expect lots of people during the day, but at night it is mostly empty. This gorgeous bridge located just 2 minutes from the city centre. Beautiful and romantic spot with a gorgeous view towards the Belfry and the passing boats at the canal. Over a beer in a typical local pub. 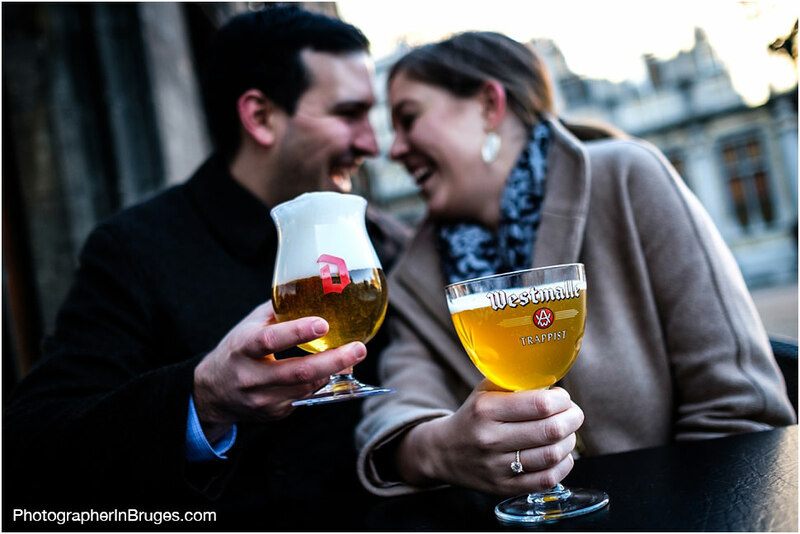 You have a numerous options to do this 🙂 In Bruges good beer and fries are always an arm reach away. 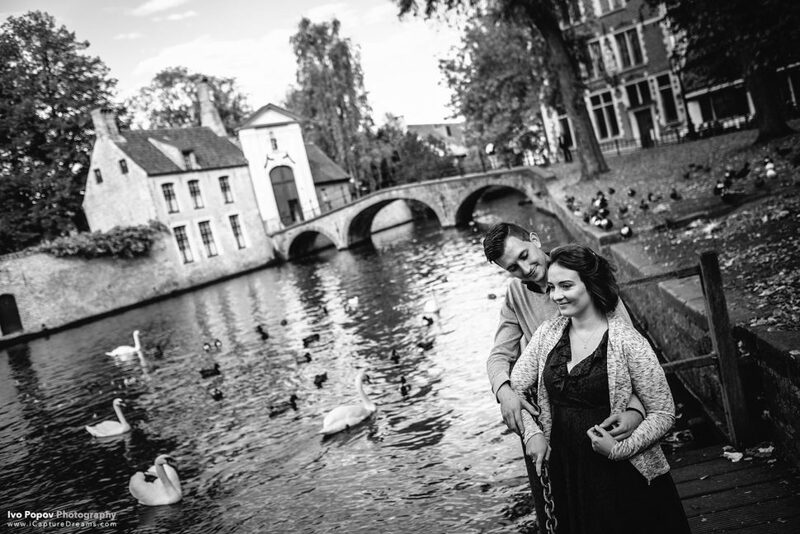 Nothing says romance as swans 🙂 And you are in luck because the canals in Bruges are home to many, many swans. This small peer is perfect if you want them to be around when you drop on one knee. It is a busy location overlooking the Begijnhof. I love this street! It is one of my favourite spots for photography and I regularly bring couple there to photograph. It is away from the city centre and tourist almost never come here. There might be locals biking around you, but I think that just makes the photos better 🙂 Don’t you?